As part of its expansion strategy, Arvind Ltd, the $1.7 billion textile-to-retail conglomerate, on Tuesday announced the launch of its largest garment hub in Gujarat with two manufacturing facilities commencing operations at Bavla near Ahmedabad. A third facility will come on stream over the next few weeks, the company said in a media statement. These manufacturing facilities, set up with an investment of ₹350 crore, will strengthen Arvind’s position in the global textiles and garment market as an integrated fibre to fashion provider and solutions provider to global retailers and brands, it said. These facilities will add a capacity of 3 million garments per month and generate additional revenues of ₹1,000 crore. “At present only 10% of the fabrics we produce are converted into garments. Our aim is to convert 50% of our fabrics into garments over the next 5 years. The Bavla facilities are a step in this direction. These facilities will also contribute to the company’s foray into performance and functional wear (active wear) and synthetics. These new facilities are one of several we are planning to create over the next few years,” Sanjay Lalbhai, chairman and managing director of Arvind Ltd, said in a statement. These facilities are expected to employ 12,000 people as operations reach optimal capacity and many more ancillary jobs are expected to be created around these large-scale facilities, the company said in its statement. The textiles sector is being seen as a significant provider of employment in the near term in India as the country ramps up capacity. “Gujarat has been at the forefront of the textiles value chain. The state’s progressive textile policy has seen Gujarat become the leader in cotton production, spinning and fabric production. Now, with a supportive garment policy, the state is poised to become a large garmenting hub as this part of the global textile value chain becomes large in India. Arvind is leading this movement and the commencement of operations at the new facilities in Gujarat is a significant step towards this,” it said. The new Apparels and Garments Policy 2017, unveiled by Gujarat chief minister Vijay Rupani last year, aims to provide incentives for garment unit owners for generating employment by providing subsidy in wages. A special provision has been made in the policy wherein women workers will be paid ₹4,000 per month and male workers will be paid ₹3,500 per month. This assistance will be for a period of five years. Other incentives in the policy include subsidy in interest, exemption of stamp duty and partial relief over electricity duty. “Setting up of the garmenting hub by Arvind is a progressive development for the state of Gujarat. These facilities will help in creating employment opportunities for inclusive development of the state. The state government, through the new garment policy, aims to attract ₹1 lakh crore in investment and create 10 lakh jobs in the next five years. Our government will continue to provide support for all initiatives towards fulfilment of this goal,” chief minister Rupani was quoted as saying in the company’s media release. Garmenting operations are the largest employment generator in the entire textiles value chain. They also provide a high return on investment. Arvind Ltd. is on way to transform its textiles business by developing three large garment clusters in Gujarat, Jharkhand and Andhra Pradesh. Each of these clusters is expected to employ over 10,000 workers. Arvind’s current manpower of over 45,000 is expected to more than double as these clusters become operational and reach optimal scale. Arvind Ltd. recently received the approval from National Company Law Tribunal (NCLT) for its scheme of demerger of its branded apparel and engineering businesses into separate entities. 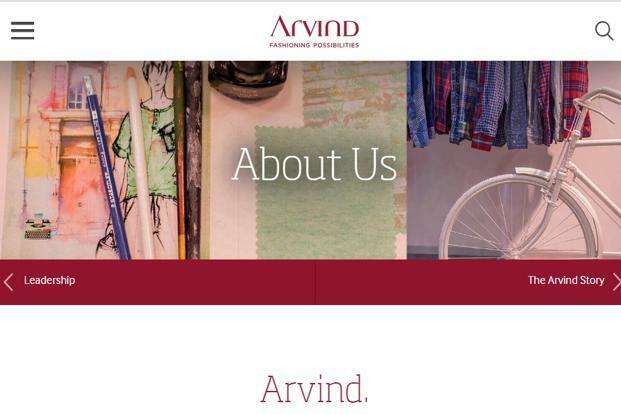 Arvind Ltd plans to invest ₹500 crore per annum for the next 4-5 years with an aim to double revenue from its textile business to ₹12,000 crore, it said. ‘Clean’ perfume – should you worry about what’s in your fragrance?